Wet Pour Repair Kits ? Are you insured to install them ? Are you competent? How can a school assess if an installer is competent and insured? Most public liability insurance doesn’t cover playground equipment and safety surfacing . Some popular insurers such as Direct line even exclude all works in schools. 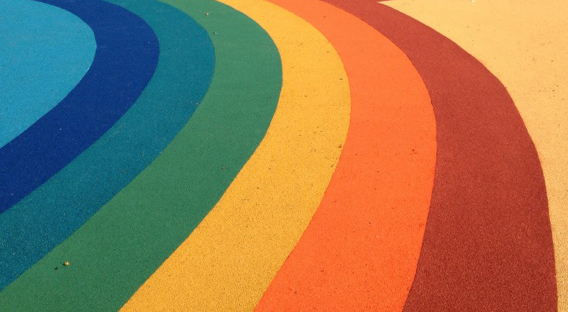 Playground equipment and safety surfacing should be included in the description of cover . A certificate of insurance is not as helpful as it first appears as it doesn’t necessarily specify which type of works are covered. Most insurers and brokers are happy to confirm if cover is in place for this type of work is in place. Kits are usually supplied in a bucket in which the rubber crumb and resin can be mixed together. Once the existing surface has been cut back and primed, the mixture is simple troweled into place. Care need to be taken that weather is suitable for laying. The surface can take 24-48 hrs to completely cure so a window of no expected rain or extreme temperatures is required. The new surface will also need protecting from walking on or placing items on as it is extremely soft until cure. When to call in the expert installers ? If the area needed to be repaired is bigger than in total 1-2 sqm , then we would recommend a professional installer. Our team of professional installers can ensure that edges are flush so no trip hazard and the surface can enjoy a longer life before renewal. Budget cost are from £500-700 for a small repair 2-3 sqm within London /South East .